Late last week Oppo announced the Mini version of the N1. Now the company has announced yet another handset, this time it looks like the Mini version of the Find 7. 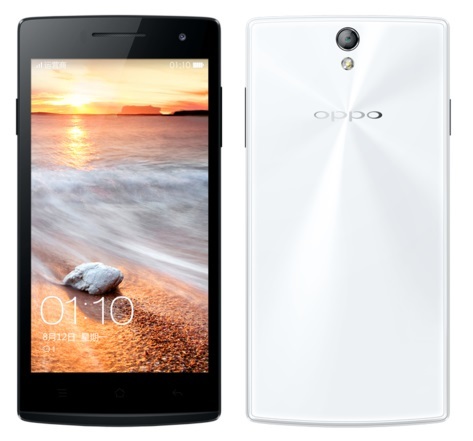 Oppo has announced the new Oppo R6007 which based on the design and specs seems to be the Mini version of the Find 7. The device has a 4.7 inch display with resolution of 1280 x 720 pixels. The device is powered by a quad core Snapdragon 400 processor running at 1.6 GHz along with 1 GB of RAM and 8 GB of internal storage. The Oppo R6007 is equipped with a rear facing 8 MP camera with LED flash. There is also a front facing 2 MP camera. The device runs of the company’s Colors OS which is based on the Android v4.3. The handset is priced at $288 and is will be available in China from this week. The company’s plans to launch this device in other markets is not yet known.